I’m holding a battered metal compass in my hand tonight. It says my writing desk faces southwest, and that the cat curls her tail northward. It doesn’t say which direction skirts despair, doesn’t guide the path toward hope. Folding it closed, I wonder what good a compass actually does. Longtime Hooked readers have heard references to my social worker days. From June 1999 to May 2005, I worked with homeless youth in Seattle’s University District. Though more years have now passed than I actually spent there, “the Ave” maintains a tight grip on my heart. As fiercely as I loved “my kids,” I relied on a few things to carry me through. My colleagues, inspiring souls who shared the trenches as well as intense passion, gallows humor, and a devotion to harm reduction. Our standing “self-care” date at Flowers Bar on Wednesday nights. A private ritual for grieving whenever we lost one of our kids. The day came when these tools were no longer enough. Love wasn’t enough. Realizing that I wasn’t doing good work anymore – and that I hadn’t been doing good work for far longer than I cared to admit – I felt like I’d been mopping the ocean, only to be consumed by the undertow. They say that you shouldn’t try to fight an undertow, so I let it steal me from the Ave. I gave in to the current until it released me in the Gulf of Alaska, returned to my original home and workplace. As I sought solace in familiar mountains, guilt and fear tugged at my raw edges. Guilt that I’d abandoned young people who’d dared to trust once more, after lifetimes of betrayal. Fear that I’d never get to know what happened next in their lives. Back in 2005, I hadn’t envisioned a Facebook future. Whatever discomfort I have with social media’s ever-grasping tentacles, it’s been priceless for keeping in touch with transient loved ones. I can “like” graduations and family news. I can be a virtual cheerleader for sobriety, offer congratulations on a new job, and celebrate the day of their birth. B passed away. He went missing 09-20. He was found unidentifiable on a blanket in the far corner of his mothers back yard yesterday. She said it might be months til they can identify a cause. We wern’t sure if you knew. Sorry. After all these years, my Ave death ritual remains the same. Alone in a dark room. 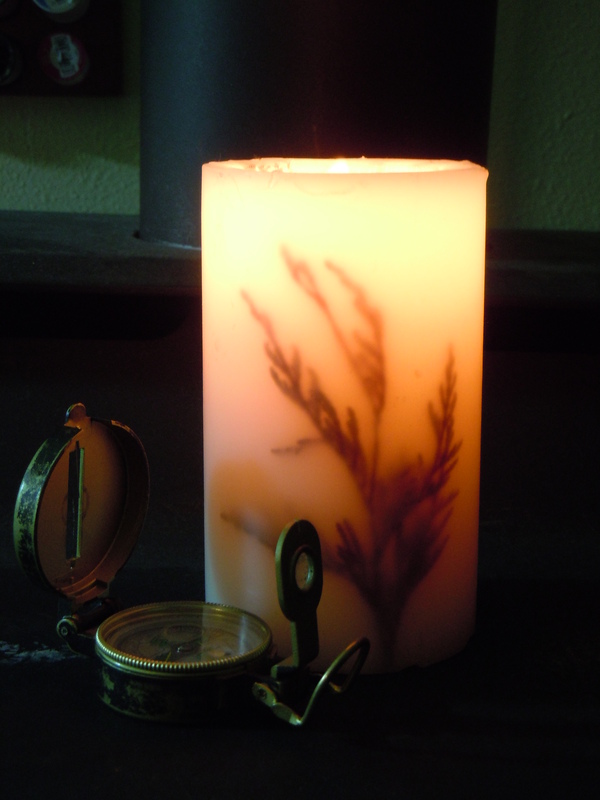 One candle, crafted by an unknown inmate at the Monroe State Prison. One song, Leonard Cohen’s gravel promises twining through those dark places that candlelight can’t reach. When I try to sing through the tears, my voice crumples like discarded newspaper. Better to sit quietly and remember a young man who was just a towheaded boy when he first arrived on Seattle’s streets. B came to the Ave as many kids do – gentle, tender-hearted, searching. A brutal introduction to street life stripped the trust from his blue eyes. He toughened up fast, forged a crusty exterior. Yet through all that followed – every sleepless night blurring into a series of sleepless days, every “Oi, oi!” hollered down the block and followed with a hug heartier than his increasingly thin frame seemed capable of, every mug shot gifted like a yearbook photo – the sweet in him still shone through. I could never anticipate which fresh-faced youngsters would fling themselves hardest down the rabbit hole, but that’s just what B did. He ran his body like it was stolen. His years on the Ave came to a screaming halt in 2002, when prison closed steely arms around him. Despite my best intentions to be a supportive pen pal, new faces demanded immediate response to the same crises. I lost track of B. Until 2009. A message appeared – Facebook, again. B wrote with warmth and clarity, proud to share the gifts in his life. Re-settled in his home state across the country, he had a job. A house. A wife and young daughter. Then and now, I never know if my kids are honest about their well-being. Especially in a many-years-gone-by reunion like this. B knew I wanted to hear he was clean and healthy, and that’s what he wanted to report. In the end, it doesn’t matter if I’m told The Truth as someone’s living it, or “the truth” as they wish they were. There are reasons we tell the stories we do, and they all boil down to wanting to please and protect. If I hear lies, I hear them told with love. Stories are subjective, but I couldn’t misread the color in B’s skin and fleshy cushion over his cheekbones. His hug was solid. Stable. Both of us equally out of place on the block that had once been our universe, we ducked into Pagliacci’s for refuge. I bought him two slices of pizza that he picked at. We traded stories of our new lives, doing our best to level a relationship that’d been built on a steep grade. Two weeks later, B wrote that Seattle wasn’t working out as he’d hoped. Once again, he headed across the country for his home state. Still searching. We traded Facebook hellos here and there. Did I text him a random good wish this summer, during one of those rare moments of cell service at sea? Sounds familiar, but now I can’t be sure. Am I recalling The Truth that was, or “the truth” I wish had been? But tonight, darkness folds around me, broken by the shuddering breath of candlelight, and my faith is shaken. Squeezing B’s final gift, I feel the metal bite my palm. The placement of my desk, the angle of the cat’s tail, the position of north, south, east, west… All irrelevant. So many of us are lost, searching for hope, peace, purpose. A sense of self-worth, and the strength to surpass what we’ve been told about ourselves. Those directions – where do you find them? I thought you’d found your way, B sweetie – I thought you’d made it out. If you’d held onto your compass, would that have helped? B’s death leaves a gaping hole in a lot of hearts, and my thoughts are with you all. As you grieve, please ask for help if you’re thinking of hurting yourself. Contact Seattle’s 24-hour Crisis Clinic line at 1-866-4CRISIS, or the National Suicide Prevention Lifeline at 1.800.784.2433. Take care of yourselves, sweeties, and each other. Longtime Hooked friends may recognize Isabella Brady’s name from last summer’s story of a traditional foods dinner. Leaning on a walker, dishing slabs of moose alongside venison stew, the Alaska Native Sisterhood president commanded as much attention as the chewy texture of whale between my teeth. I’d hesitated to post that story without Isabella’s blessing. Before we left town on a fishing trip, I printed a copy at the library and dropped it into the mail, feeling more vulnerable than I had in a long time. Um… Don’t write about her, don’t post her photo – oh, and my writing’s a terrible bunch of cultural exploitation? Our interactions developed around a directive: “Come to my house and have something to eat with me.” More commandment than invitation. Isabella liked to talk, and I was an eager audience. A woman of ferocious faith, Isabella began every meal with a thorough blessing. On our third visit, she asked if I was affiliated with a church. My response didn’t please her. On Tuesday, my feet bounced lightly down Sitka’s main drag, my backpack laden with a Tupperware of marinated black cod tips. After the meals she’d shared with me, I felt shyly eager to bring Isabella a gift of food I’d harvested. A few minutes away, I pulled out my phone to make sure it was a good time to visit. A male voice answered on the second ring. I didn’t think anything of it. Isabella’s home was a hive: a constant flow of children, grandchildren, friends buzzing in and out. “Hi, is Isabella there?” I chirped. 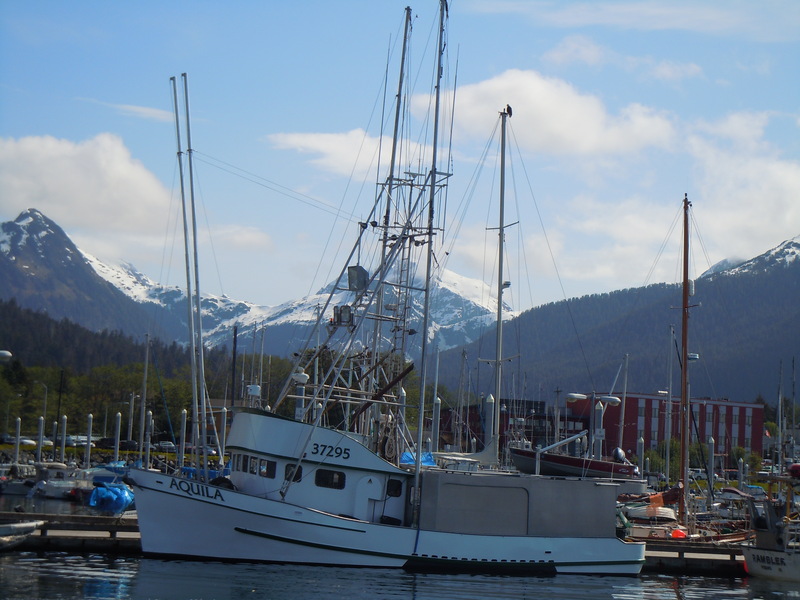 I saw Isabella once this spring, shortly after we returned to Sitka. She told me to make us some pancakes, supervising every step from her seat at the kitchen table, murmuring along with the stereo. That saved a wretch like me. She said how blessed she was, reflecting on the love and generosity that people had shared during her winter hospitalizations. She said that she wasn’t afraid of death. Penny piles lined her coffee table, copper flashes amidst the endless papers of a lifelong leader still organizing from her living room couch. When she grumbled about needing penny rolls, I volunteered to pick some up at the bank. They’re still in my backpack, a rubber-banded stack heavy with accusation. Why didn’t I take them straight to her, right after leaving the bank? Isabella sent me out the door with a small jar of sourdough starter. She promised, “Once you make your pancakes from sourdough, you’ll wonder why you never did before.” It’s in the Nerka’s dorm-sized refrigerator now. I don’t know anything about keeping starter alive, but I’ll learn. It’s what remains. Some people seem too powerful to die. Whether by the confidence with which they move through the world, the magnitude of their service, or the depth of what they’ve survived, they seem invincible. As if they glow so bright that they’d scorch Death’s grasping hand. Maybe part of me imagined that would be true of Isabella. 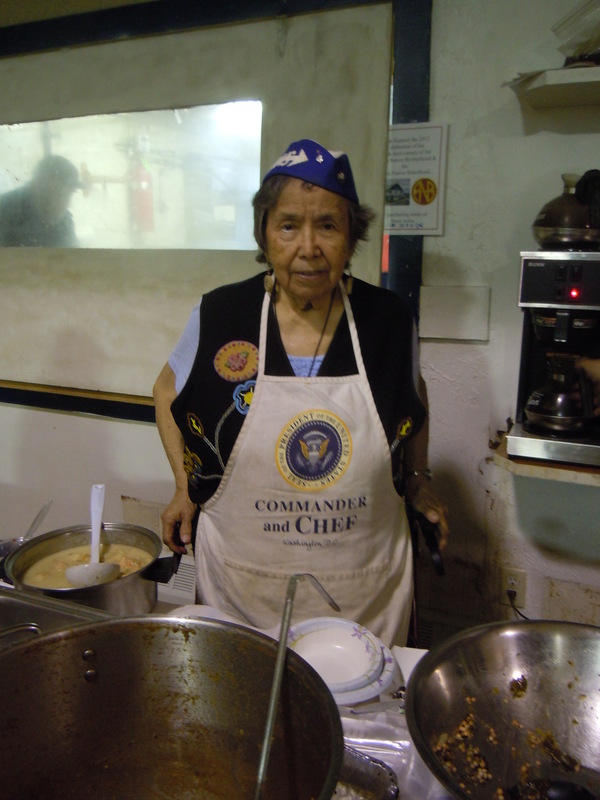 When I saw Raven Radio’s Wednesday headline – “Native leader, activist Isabella Brady dies at 88” – I didn’t want to believe. As a non-Native, I’ll never know the strength, courage, and hope that she provided to so many. The community is reeling, grief shrouding the Brady family, the Kik.sadi clan, and Native people throughout the region. I’ll never know the taste of their loss. I was blessed to spend a mere speck of time in Isabella’s company, a few afternoons far more significant to me than they would have been to her. And though I fear some may hear this story as self-absorbed, my experience is the only authentic place I can speak from, the only language I have to honor Isabella’s tremendous legacy. In several grace-filled sentences, Mike Schinke said what I’ve spent pages struggling to convey. I’m thankful for his permission to re-post them here. “A prayer of solace for the Brady family. A prayer for the health of remaining elders. A prayer for the perpetuation of Tlingit language and culture. Amen. Rest in peace, Isabella. My deep sympathy to all who are mourning.